If you drive down I-15 in Beaver, Utah, you’ll see a 30-foot-tall silo with white letters that spell out “Blu.” Next to it is a truck stop. It is no ordinary truck stop. The silo contains liquefied natural gas (LNG) chilled to -200° F and ready to fuel specially outfitted 18-wheelers. The facility is owned by Blu Transfuels, which expects to build 50 natural-gas filling stations nationwide this year, according to Fortune (May 20, 2013). 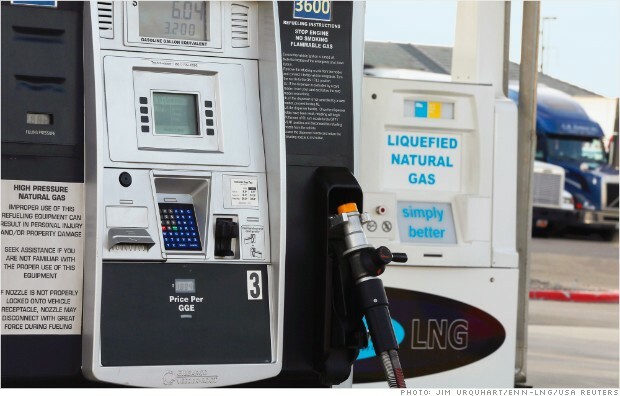 The new LNG trucks should cost only $30,000 to $40,000 more than diesels. Given that a typical 18-wheeler travels 100,000 miles a year at 5 mpg and that LNG is about $1 to $1.50 a gallon cheaper than diesel, a driver can save as much as $30,000 a year in fuel — a one-year payback. Many trucking companies lock in their fuel costs for five years, which would provide a total savings of $120,000 over the life of the contract.